Victor Harbour is a popular choice among organizations in Australia. Victor Harbour team building activities have a variety of options for different participants. Over the years, it has become a primary choice for different organizations and companies. Whether you have a small or a big organization that is looking for a different experience, you can easily get our help and we are more than willing to assist you from start to finish. It is undeniable that team building is an important activity that both small and large companies and organization shouldn’t ignore. The most common problem that you will encounter when you run your company is that people have different personalities. And on some occasions, dynamics aren’t organically just going to happen. Camaraderie takes time to build. Looking for Team Building Ideas? The Amazing Race around Perthwas awesome; everyone had such a great time and got so competitive! Even a bit of rain didn’t damper everyone’s spirits and was hilarious seeing all these bright colours tearing through the city! Thanks so much to XL Events. We will definitely be recommending your services to others and it has even been suggested that we do the Amazing Race as an annual event! And for this reason, you have our services to help you from start to finish. We understand that every company and organization can be different. Thus, we adjust according to their needs. Our experience makes us one of the top options when it comes to team building activities in Victor Harbour. We are also aware that there are instances when the unexpected happens and we need to troubleshoot. Rest assured that we are experts in what we do. We are problem solvers that cater the best experience to all our clients. Our years in the business allowed us to work with different types of organizations and companies. Do you have participants that have specific needs? Or do you have any special request when it comes to the activities that will be conducted? Feel free to let us know as we can help give you a different experience. Victor Harbour is a popular choice among organizations in Australia. Located on the south coast of the Fleurieu Peninsula, organizations can have access to some of the best views. And because of this, we can provide both indoor and outdoor venues for you. Regardless if you have a small organization or a large group that needs a bigger venue, we can give you different options to choose from. We also have enough number of staff to help you from start to finish. This way, the team building activity will run smoothly without any problem. Planning and starting a team building activity can be intimidating considering the daunting task ahead. The good news is that we’ve been doing this for more than a decade. You can talk to our team and we are more than happy to give you the best team building activities. We can cater depending on the goals that you have in mind. Our activities are fun, interactive, and engaging which allows members to improve dynamics and camaraderie after everything is said and done. Organizations and companies differ in sizes. We understand that there are some organizations that only have around 10 participants while there are those that go by the hundred. Since we’ve been around the industry for 13 years now, we’ve seen it all. We cater to both small and large organizations that are looking to do team building activities in Victor Harbour. We also have enough staff members to cover for your needs. All you need to do is to tell us the size of your organization. Also, let us know if there are any special considerations that we need to pay close attention to. Keep in mind that we ensure that every detail is met. As rule of thumb, the price also gets cheaper as you have more participants involved. Transportation has been a primary concern for many organizations over the years. One of the main problems that they usually encounter is the fact that they the participants tend to not get on location on time. We solve this problem by partnering with transportation companies. Here, the participants will be picked up by a van or by a bus and brought to the area where the activities are going to be held. Not only does it simplify the process, it also helps you stay on track with your schedule. Here, you don’t have to worry that the venue you chose is quite far from the hotel where everyone is staying. Part of the team building activities that we do is that we also provide a tour around Victor Harbour during the free day. Here, we allow people to relax and just have fun in the area. They will be able to enjoy some of the best sights and sounds of Victor Harbour together with the rest of the organization. And in this type of relaxed environment, it becomes easier for organizations to foster camaraderie and trust within each other. During June to September, Victor Harbour is known for whale spotting. Also, we can also make the necessary arrangement in order for the participants to enjoy Granite Island. Granite Island is connected to the mainland via a short pedestrian causeway. Here, participants can experience riding a horse-drawn tram. It is also known for its colony of penguins which made the place popular among tourists. Over the years, we have also worked with different VIPs. We are all aware that executives tend to have different needs than your typical participant. And for this reason, our team building activities for executives are tweaked in such a way that it fits their preference and needs. 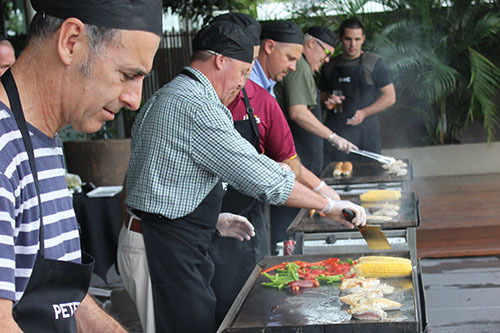 We can provide a smaller and more intimate version of team building activities for them. 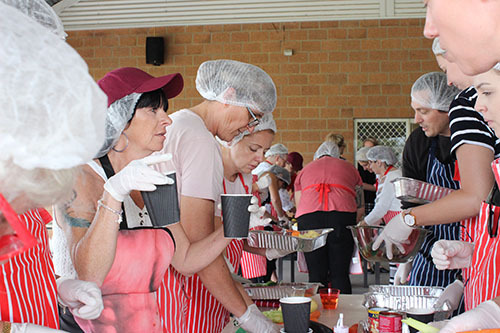 Aside from offering team building activities in Victor Harbour, we have also provided team building activities in surrounding areas including Hayborough, McCracken, Port Elliot, and Middleton. We understand that every organization has different goals, budget, and even preferred activities in mind. If these are your concerns, all you have to do is to talk to us and we can provide you with custom-made team building activities. If you are looking to improve the overall dynamics within an organization, team building activities can help give you great results. With our help, you can guarantee the best results regardless of the size of your company or your requirements. 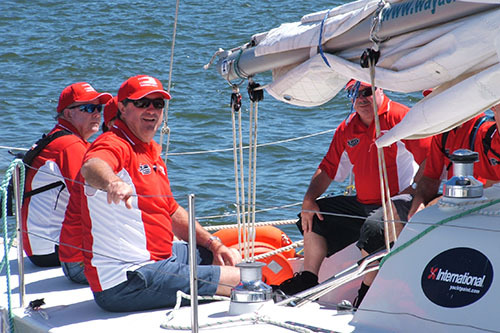 Impress your team with the ultimate sailing team building activity in Sydney. 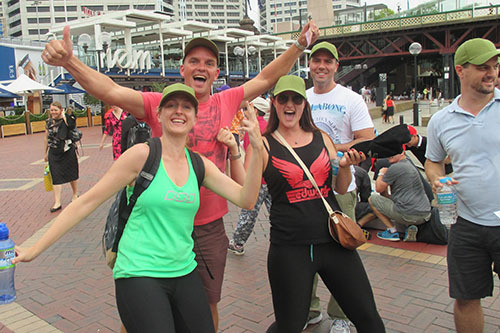 The original Amazing Race Sydney, 13 years and still going strong! 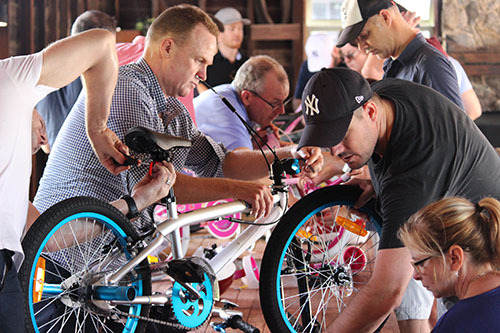 Bringing your team together to assemble bikes for little people! Cooking class with a cause, making nutritious meals for the less fortunate. We put the fun back into the MasterChef challenge! The ultimate team reward! 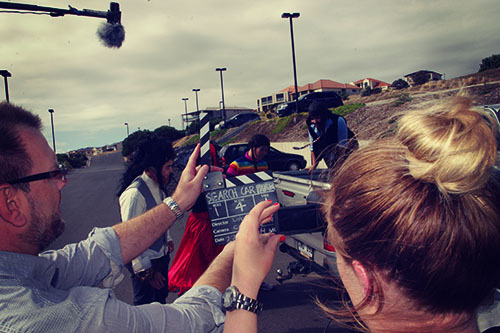 Bringing teams together in a dynamic film making team activity… hilarious!